Dog Toys - Bone & Biscuit Co. Dogs need a combination of mental and physical stimulation to succeed. Toys are the most fun way to achieve both! 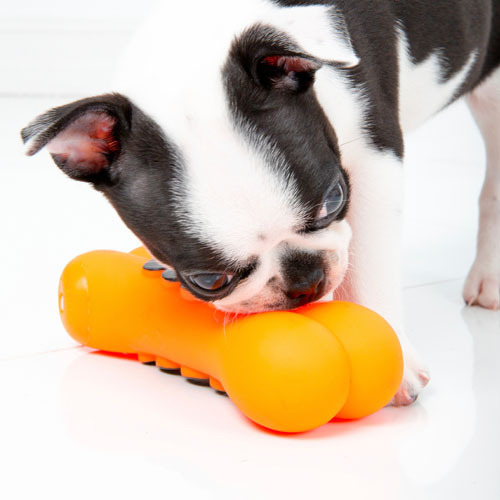 Whether your dog is a chewer, a fetcher, or a snuggler, you can find a wide variety of toys your dog will love. At Bone & Biscuit, we measure quality by evaluating the manufacturing process of all the brands we carry. You'll find only the highest quality toys in our stores. And the best part? We always welcome leashed dogs into our stores so they can pick out their new favorite toy themselves. Dog Toys product and brand selection may vary from store to store.